Just started running FSrevised! - FASA Games, Inc. I am a long time GM (30+ years) and I have just started a Fading Suns revised game. My players are really enjoying the setting so far, as am I! Great setting and background, A+++ on the creative side of things! I have 1 huge gripe about the GM's guide PDF unfortunately. The maps are terrible. 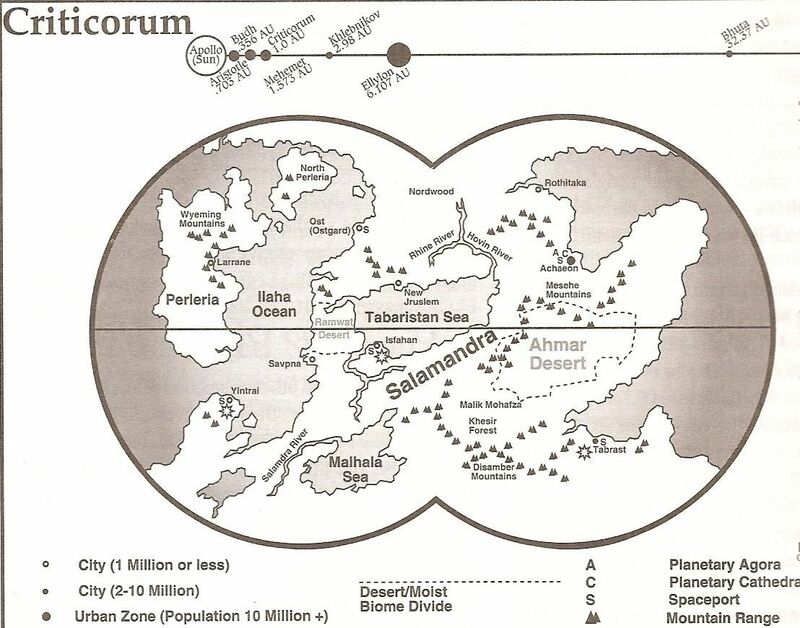 Same with the galaxy map in the Player's Guide, but I have been able to find good copies of that map online. Are their any plans to provide reasonable quality copies of the planet maps at any stage? Re: Just started running FSrevised! When you say the maps are terrible, do you mean artistically, or the resolution? Sorry, I should have specified that bit of info. My bad to on the galaxy map, it's in the GM's book as well, not the players guide. Artistically they look fine, I've never been a fan of cluttered overly pretty maps as a GM resource anyhow. It's the resolution that is the problem, even with my glasses on I can't make out most details on them (city names etc). The maps and artwork look as though they were scanned from an original print version at a low resolution. It is a real shame as otherwise the GM's guide is quite an attractive PDF. I note that these resolution issues don't seem to affect the Player's Guide art. If this was done to keep the PDF size down for download purposes (players guide is 8% more pages, but 35% bigger file), what would the chances be of a hi-res map pack being released to supplement the GM's Guide? Good to hear that it isn't just me, and that you want to do something about it in future. For now, is there a good resolution map available of Criticorum anywhere? My google skills have let me down and that is the planet that my party are stuck on at the moment. While I can guess where everything is, I would prefer to get it "right" from the get-go. The text is cut a bit though... but perhaps you can use the image? Yeah. The maps are... well they didn't come out as well as they could have. If I can get things moving on other fronts it would be nice to get them redone in high-res. Thanks for that Angel, helped a lot!